What every new mother looks like. Ha! I totally agree with the principle! 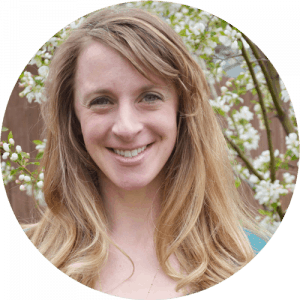 We all know we are better, more patient, more intuitive, more (insert favorite mothering buzzword) when we are well-rested vs. the stressed-zombie version of ourselves. But, if I hear one more podcast give the example of the public service announcement on the plane that says “put on your mask before you help others”, I may barf. But on a less-sarcastic, and deeper level – it is very common and normal to feel like you have lost your personal identity to motherhood. This is one of the biggest reasons that it’s important to make time to enjoy activities that feed your soul and rejuvenate your zest for life … and for your offspring. But did you notice I used the “T” word there? Time. Taking Time. But I have NO time! If you’ve got a baby in your house – your time is not your own. And “self-care” becomes a sickening joke. 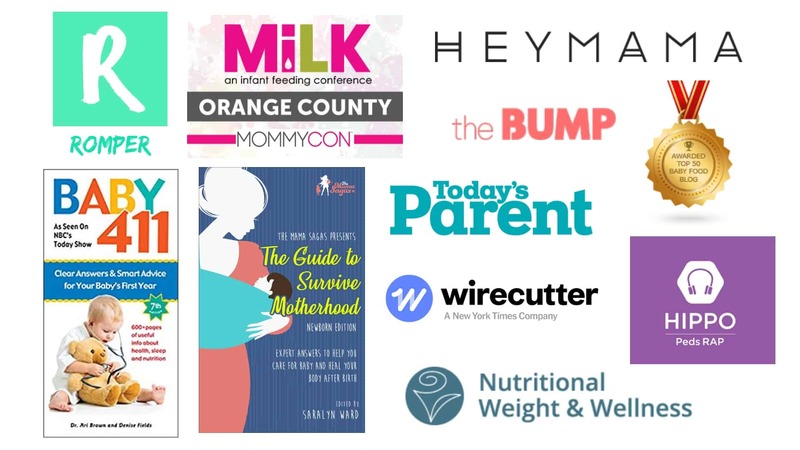 I have listened to countless podcasts (I am obviously a bit of a podcast junkie) that tout the benefits of maternal self-care and give the classic examples of: manicure, spa-day, massage, or even a 24-hour mom-cation in a hotel. When you have a baby (or 2), these suggestions can seem so ludicrous, it makes you want to evil-witch-laugh at the speaker … and then run away to ugly-cry in the bathroom. Well, first-off, take heart! 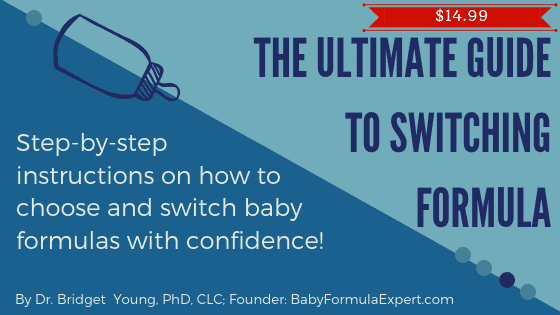 The infant phase is temporary and you WILL eventually have time to pee alone, and even go to the gym again! I see the light at the end of my tunnel, and you will too!!! But in the meantime, we can’t just give up on caring for our bodies and our souls, because our babies deserve that better-version of us. 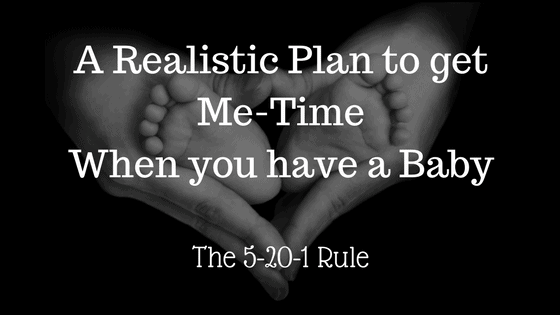 Here’s my real world self-care solution for parents in the baby-stage: It’s the 5-20-1 rule. Each partner writes down 5 activities, that each take 20 minutes or less, that are truly restful and/or enjoyable to the soul. 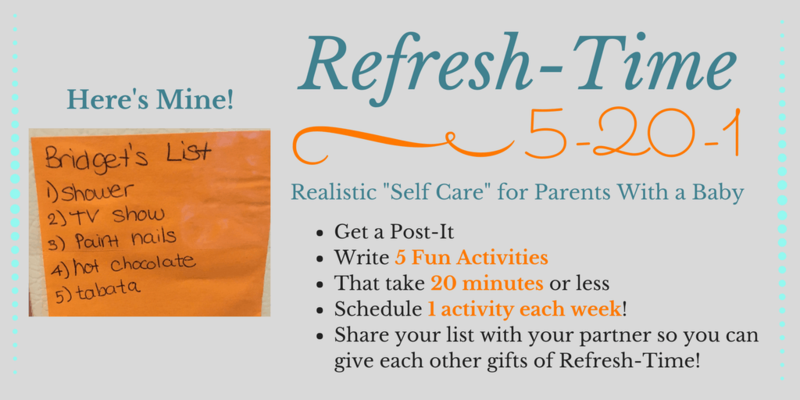 You put your lists on the refrigerator and each do 1 of these activities a week. That’s it. 20 minutes a week. Schedule it! On Tuesdays at 6:30 – daddy takes baby for a 20 minute walk and Mommy gets her time. You totally have my permission to do more than once a week! But honestly, planning for 1 activity is realistic enough to stick to, and is likely way more than you’re getting now. And 20 minutes is that sweet-spot of enough time. It’s enough time to really relax, but not so much time that the other care-giver feels overwhelmed. I encourage partners to gift each other additional sessions as a gesture of love. That’s why you each have a list! If you notice your partner is particularly frazzled – take the baby and suggest an activity on the list. Here are some suggestions for activities that might inspire you as you make your list. Have another activity I should add? I’d LOVE to hear it! Tell me in the comments! Self-care is important! But unrealistic expectations can do harm. I suggest acknowledging that the infant phase is going to be hard – but it’s temporary! Making a plan to care for YOU (that person who existed before you birthed a baby) is important. Making that plan realistic – is crucial. I find the 5-20-1 rule can work wonders. Share it with your partner and let me know how it goes. Great tips! We really do lose ourselves.